Dried minced onions are a convenient kitchen staple. The dehydration process extends their shelf life and reduces pungency—great for those who don't enjoy strong onion flavor. If you’re preparing a dish that calls for dried minced onions but you don't have any on hand, fortunately there are a variety of suitable substitutes. Onion flakes are similar to dried minced onions in that they're dehydrated and have the same texture when cooked. However, they differ in size; onion flakes are smaller and more finely chopped than the minced variety. When you substitute with onion flakes, use almost double the amount that the recipe calls for to achieve the same flavor. Onion powder and onion salt make decent substitutes for dried minced onions, especially for dishes that aren’t dependent on the texture dried minced onions. Onion powder and onion salt are both made of ground, dehydrated onion, but onion powder has no added salt. When substituting for dried minced onions, use half the amount of onion powder or onion salt. If the flavor isn’t to your satisfaction, use a dash or two more. If you use onion salt, you may want to reduce other added salt in the dish. You can substitute any kind of fresh or frozen onion for dried, but keep the flavors of the dish you're making in mind. Yellow onions are sweet and astringent; white onions possess a strong, sharp flavor; and red onions are pleasantly mild. 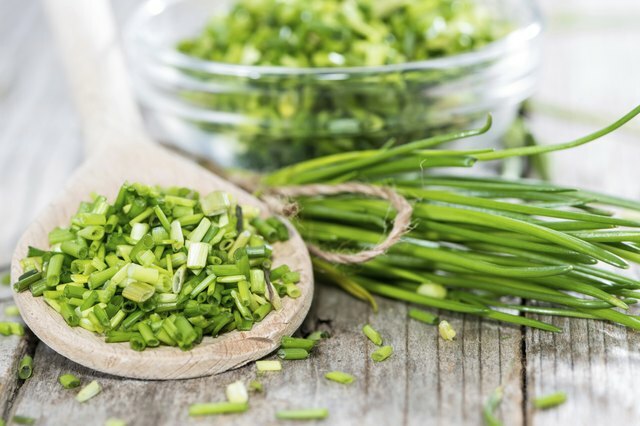 In a pinch, leeks or green onions can also be used as alternatives. 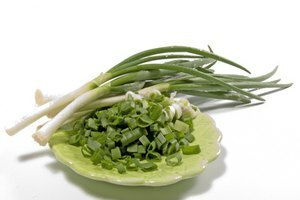 Green onions are immature onions, pulled from the ground before a prominent bulb can form. They have a mild flavor and tender texture and are best substituted in dishes where the onion is not cooked for a long time, as green onions are thin and disintegrate quickly. 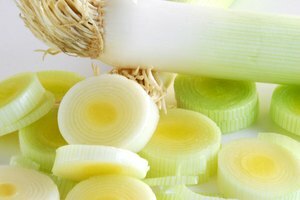 Leeks look like large green onions, but they have a more complex flavor: mild, sweet and astringent like a yellow onion. Use approximately six times the amount of minced leeks or green onions for the amount of dried onion called for in the recipe.